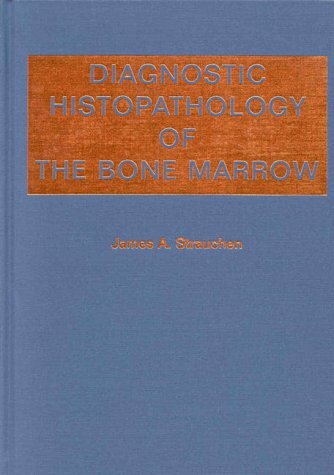 This book is written as an introduction and guide to the interpretation of the bone marrow biopsy. It is intended primarily for pathologists and pathologists-in-training., but it is hoped that it may also be of interest to hematologists and oncologist who perform bone marrow biopsies on their patients. Although emphasis has been placed on the histologic interpretation of the bone marrow core biopsy, an attempt has been made to integrate the histopathologic findings with clinical and laboratory features and peripheral blood and bone marrow aspiration morphology. The role of morphology in hematologic diagnosis has been overshadowed in recent years by newer immunologic and molecular techniques. Morphology remains, however, the "gold standard" for many hematologic diagnoses, and is the appropriate point of departure for more complex diagnostic investigations. The cost-effectiveness of the relatively simple microscopic examination of a smear of blood or bone marrow, by a trained observer with knowledge of the clinical problem at hand, unsurpassed. Nevertheless, immunologic and molecualr techniques have revolutionized many areas of hematologic diagnosis and an effort has been made to incorporate discussion of these newer techniques wherever applicable.